It’s doing so in partnership with healthcare transport platform, Circulation. Lyft has teamed up with Circulation to provide on-demand non-emergency medical transportation to over 1,000 healthcare facilities across the country. Circulation launched last year and it allows hospitals and other medical facilities to schedule one-time or recurring non-emergency transportation for their patients. It lets healthcare providers and patients request rides with options like wheelchair assistance, help getting into or out of the vehicle and whether a caregiver will need a ride as well. And depending when, where and what kind of ride is needed, Circulation matches patients with the best transportation option, which will now include Lyft. Circulation says that around 3.6 million patients miss medical appointments every year in the US due to lack of adequate transportation but that with its service, appointment no-shows are reduced from 20-25 percent down to eight percent. Uber is also one of the transport options available through Circulation and at launch, Circulation was Uber's preferred healthcare platform partner. The new partnership with Lyft will give patients even more ride options going forward. Lyft has previously partnered with CareMore Health System and American Medical Response to provide non-emergency medical transportation. 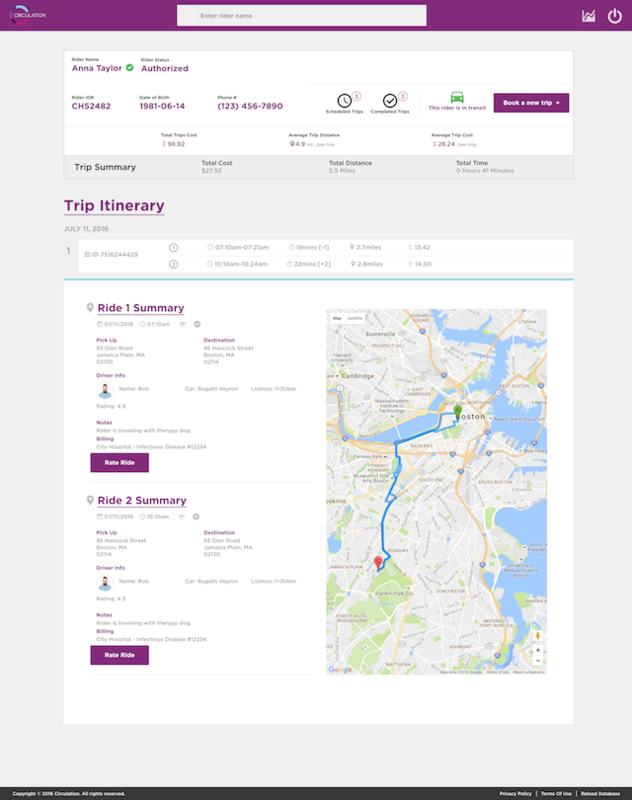 "Circulation seamlessly connects to Lyft's API, making it easy for health facilities to request a Lyft ride when they need one," Lyft Business VP Gyre Renwick said in a statement. "Together, we're working to remove transportation barriers that previously stood in the way of getting people the care they need."